Why Should You Build A Mobile Wallet App? There are several different types of apps in the market for eCommerce, retail, on-demand services, and more. One thing that is common between all these is that they involve money transactions. Such online monetary transactions take place via third-party payment apps that are called e-wallets. Such wallets are the real cash in digital form. Mobile wallet app development is a good idea for start-ups, mid-sized, and large businesses to invest. Whether you are in retail, ecommerce or running a financial institution, health & food business the digital wallet apps are easy to adopt and use for small to large businesses. Apart from it many well know organizations like Apple, Samsung, Google, have developed wallet apps to help business send and receive payments and they earn on each and every transaction – a great idea to build money making machine. With the increasing use of smartphones and mobile devices, the economy is shifting its attention towards cash-less structure. 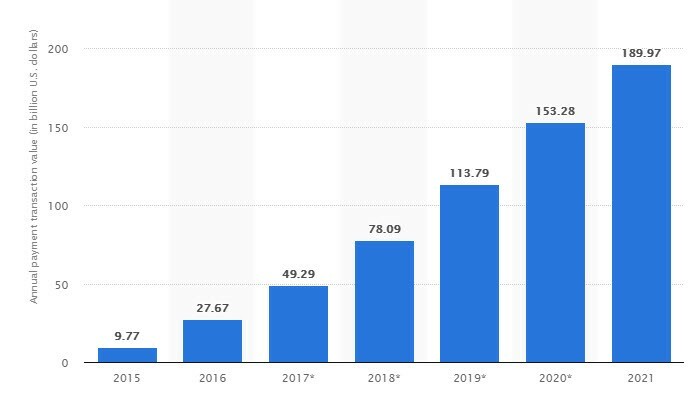 This gives rise to an increasing use of digital payments at fuel stations, shopping centers, malls, eCommerce and retail stores, on demand food and grocery app, and a lot more. A few online merchants have been offering incentives to the customers for using mobile wallets for payments. Consumers are looking for convenience and so mobile wallet apps are being adopted to send money through apps and bill payments. Which industries can benefit from mobile wallet application? Retail shop owners can provide a QR code to the users for paying bills. Retail and eCommerce businesses use mobile wallet apps to the fullest. Some apps allow the business owners store the information about the bargains, make payments in the form of loyalty cards, bonuses, and coupons. Retail shop owners get instant message from the app that the transaction is successful. Such mobile wallets store the information about bargains, making payments via coupons, loyalty cards, and more. 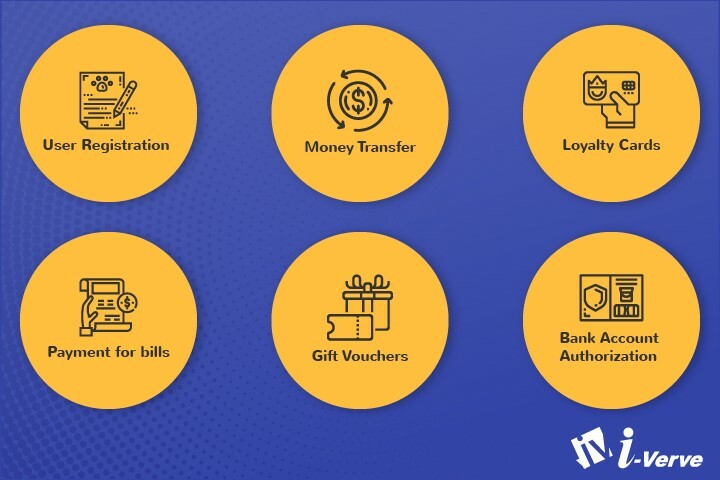 If you are planning to create an eCommerce app, you should be aware of the latest payment gateway integration trends to develop modern and advanced solution. Financial institutions and banks make use of various types of cards such as debit, credit, etc. to provide different types of services to the customers. Financial companies have started integrating mobile wallet apps to provide direct access to the customers to make online transactions. In order to go cardless, these financial companies have started investing in digital wallets. Major telecom service providers use mobile wallets to offer easy payment solutions to the users. This adds value to their services and helps them enjoy cashless payments for recharges, bill payments, and ticket bookings online. Users can add top up their wallet and use the amount for easy payment processes. What would you do if you have to take your family member or relative to a hospital for a surgery? Carrying a huge amount of money in the form of cash may not be feasible. Digital wallets can be used for bill payments at chemist shops, hospitals, and doctors’ clinic. Mobile wallet apps can be used for paying for groceries and food items over on demand apps. When ordering food, you can make payments from your wallet. Even while you shop at a local supermarket, you can use wallets for paying the bills. Such wallets make the lives of customers easier in today’s busy and hectic lives. Option to utilize offers (discount coupons). Delivering valuable experiences is possible when you build the right type of mobile wallets. Security is of utmost importance when it comes to mobile wallet app development. Business owners should ensure that their digital wallet is secure so that users can make transactions online without worrying about data leak. Think out of the box if you wish to grab the attention of your market share. For any app development process, you need to do your homework and study the market trends. With the increasing digitization, we can get access to all the information online. You can have a look at some of your competitors’ apps and avoid making common mistakes made by them. Check out the features of a few top performing apps to understand what features can be added in your mobile app. Your app should revolve around the needs of your target audience. Decide the platform for which you want to develop the product or services. Foresee the requirements of the users and their expectations. The app marketing campaign should focus on potential customers, and spread the right message to attract the target users. Once you’ve decided upon the platform, you should pick the right wallet type. Some wallets can send and receive money while others may be used for initiating contactless payments. No matter what type of app you develop, it is important to pay special attention to the user interface. UI/UX is of great important for app success. The UI of the app should reflect the main purpose of the app. Your top priority should be engagement and building an app that has eye catchy design and navigation of the app. Make sure that your mobile app is user friendly and less complicated for the users. Sharing timely notifications with the users about the new or upcoming offers can be a good idea to keep them engaged. Do your research and build the best solution to ease the lives of the users. Mobile wallets should be secure and safer to use as compared to physical debit or credit cards at POS systems and for online payments. Every single transaction should be highly encrypted during the transmission of data. e-Wallet app should be compatible with different platforms to facilitate the payments. The wallet should be compatible with the POS systems used at restaurants and retailers. Talk to the mobile app developers to know your app will be compatible with which devices and systems. Digital wallet apps should be tested before it is launched. QA team should test the mobile app before it is submitted to the Play store. Do not assume that your job will be finished once the app is launched. You would have to maintain it so that it runs well and upgrades may be required from time to time. Crypto currency is the new wave in the industry, which helps people invest their money. Several crypto currency wallets are used to manage the investment portfolio. Such wallets are helpful for creating your portfolio of crypto currency and have full control over your investment. The need for Blockchain developers and professional developers to build a Crypto Currency Digital Wallet Application for Android & IOS has increased in the recent times. Because of the inflow of Blockchain and crypto current based payment application development requirements. Now companies are looking forward to build a new online payment gateway with e-wallet from scratch that is able to transact payments from credit cards, mobile payments and ICOs like ethereum, ripple etc.